Sketched Oct. 5, 1:53 p.m. In an effort to reduce collisions between cyclists and motorists, the Seattle Department of Transportation has been painting some bike lanes green at dangerous intersections. 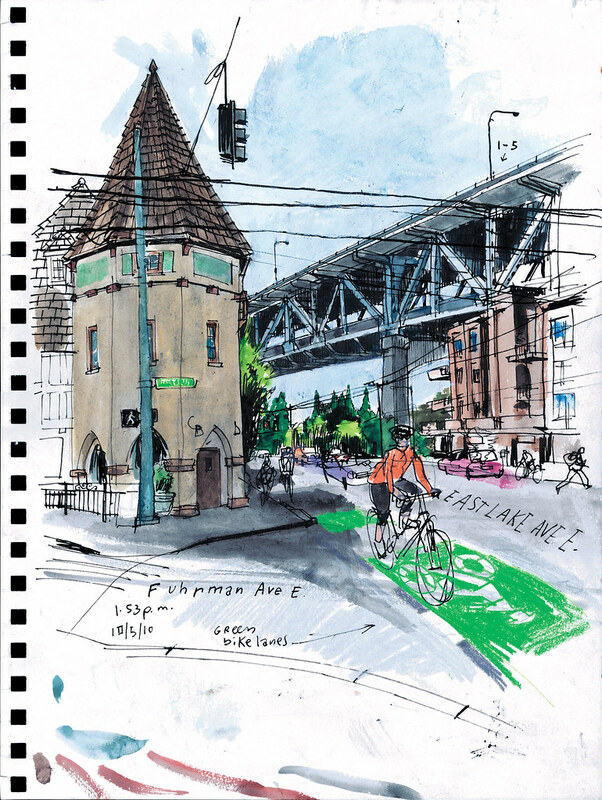 The most recent bike lane to get a fresh coat of green paint is at Eastlake Avenue E. and Furhman Avenue, where many cyclists zoomed by as I sketched this view. 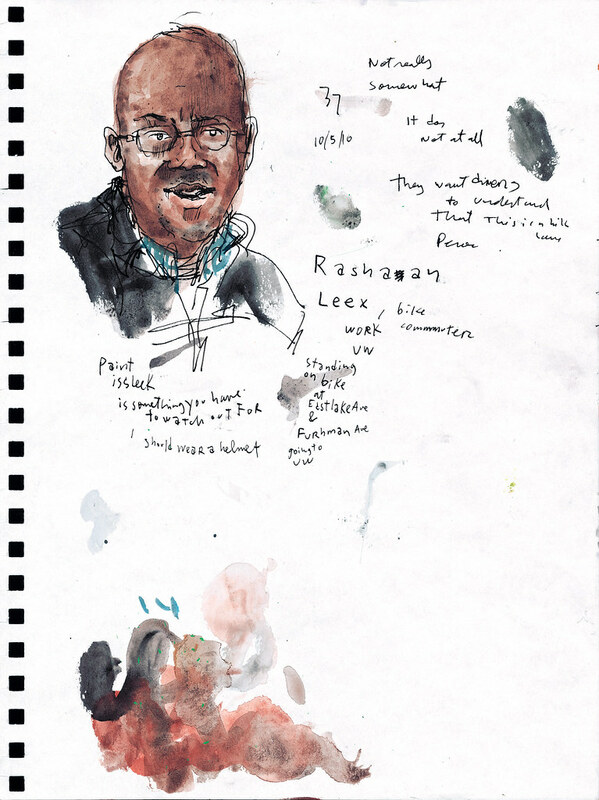 When I was done drawing, I talked to a couple of bike commuters while the light was red. Ming Han, a student on her way to the University of Washington, said the green lanes make both drivers and bicyclists pay more attention to the road. Thumbs up to the initiative. Rashaan Leex (left) said the paint is too slick. “It’s something you have to watch out for,” he said. What do you think about these bike green lanes. Are they helpful? No right-on-red would also reduce the chance of collisions, but I’m told that drivers would never give up that privilege. There’s even a Wikipedia entry for “right turn on red,” where it says that it has been practiced in the Western states for more than 50 years. See uncropped versions of these sketches here and here.